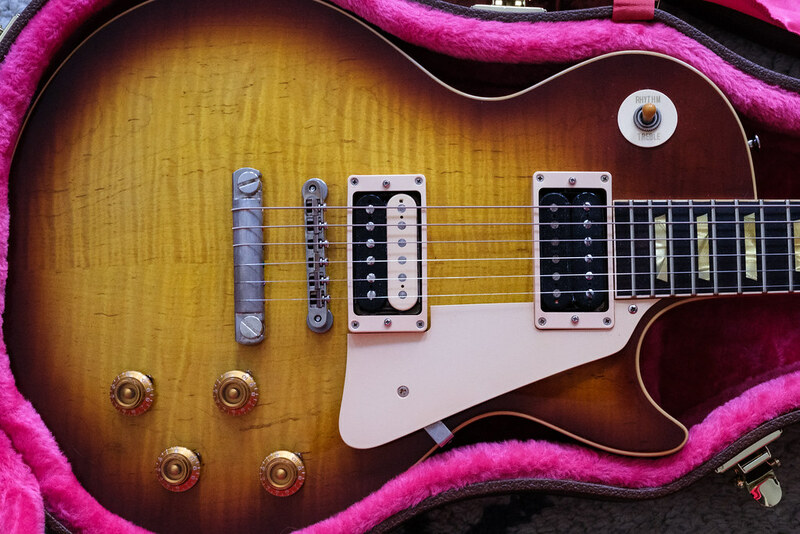 The man behind the guitar, Jim Weyandt, has plenty of hands-on experience with vintage LP's. 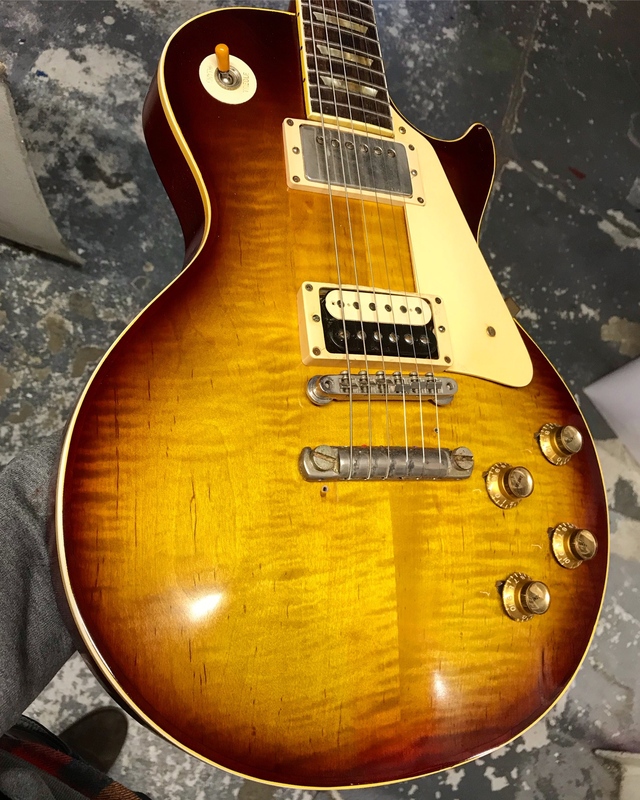 He owns a 1960 Les Paul and his specialty is restoring/converting 50's Les Pauls. Michigan Flame Maple top: the Michigan flame maple is around 80 years old. The guitar currently has a Pat. 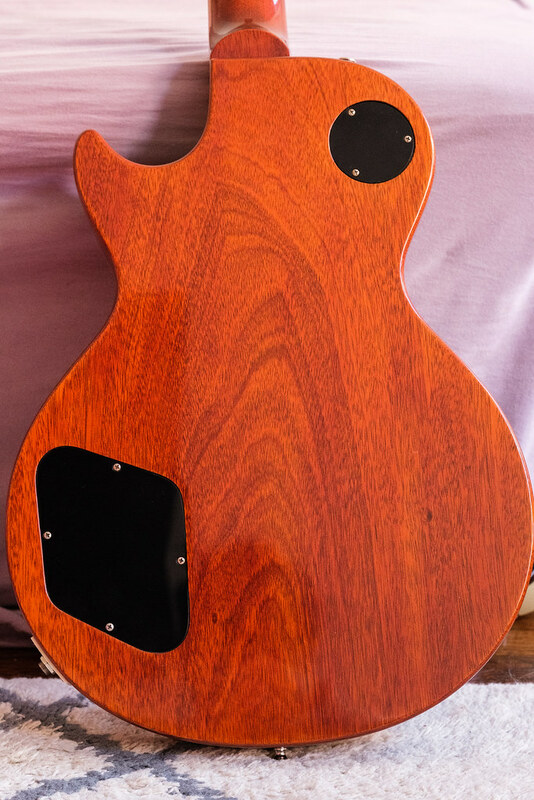 Pending (Pre T-Top) in the neck and a Stephens Design HD59 in the bridge. 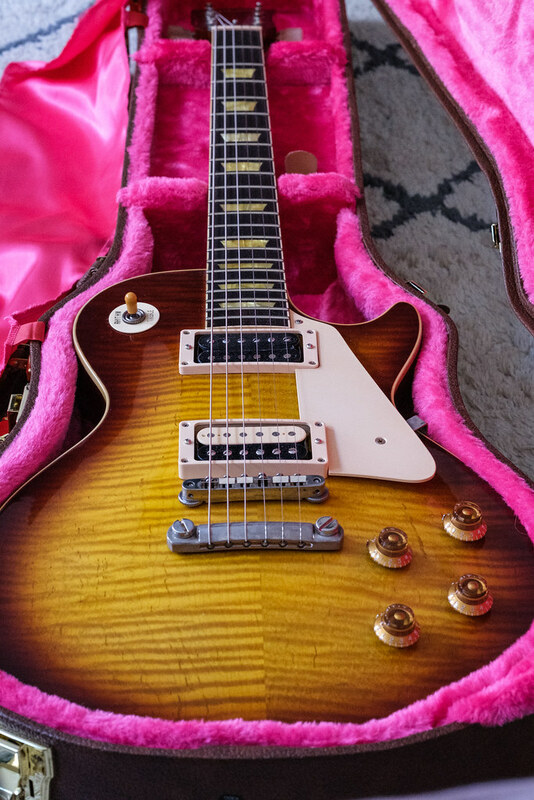 I can't imagine a better sounding set of pickups besides a good set of PAF's. Cool guitar! 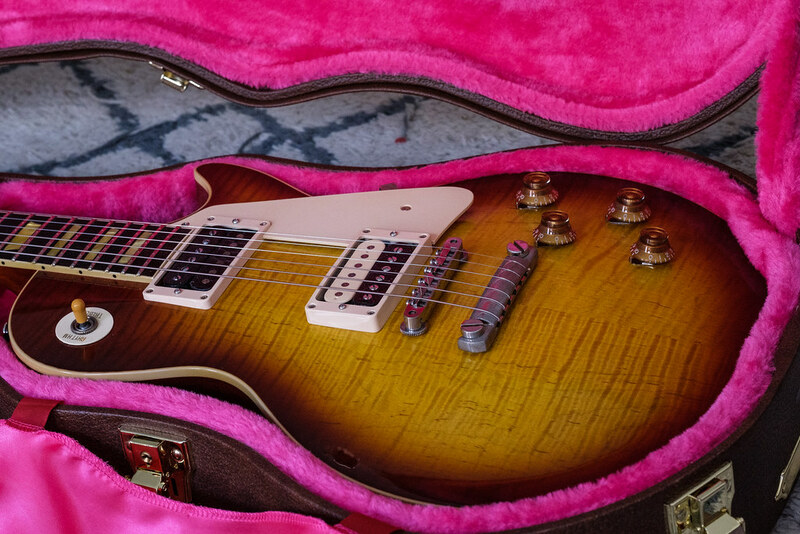 Remarkably similar to my vintage ‘60.. Cool Super Cool - Neck Shape ? Measurements at the nut, 5th, 7th, and 12th frets ? Good Luck with your sale, she is a BEAUTY !!! !